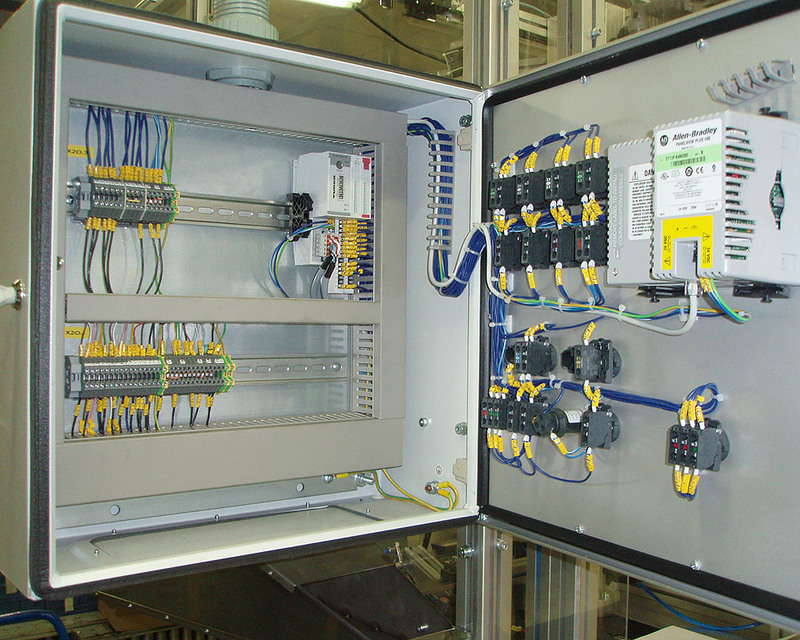 We also manufacture and install control systems for all our machines, lines and equipment. This is always a custom solution designed to fit specific needs. We make many custom-size enclosures and install them in machines and lines as their footprint allows. We use Siemens, Omron and Mitsubishi control systems in our installations. We use Lenze, Omron and Siemens frequency converters, servo converters and stepping motors for drive control. We use pneumatic parts from SMC and Festo.